The Unitarian Universalist religious movement is small in numbers, but has a long history as a radical, reforming movement within Protestantism, coupled with a larger, liberal social witness to the world. Both Unitarianism and Universalism began as Christian denominations, but rejected doctrinal constraints to embrace a human views of Jesus, an openness to continuing revelation, and a loving God who, they believed, wanted to be reconciled with all people. 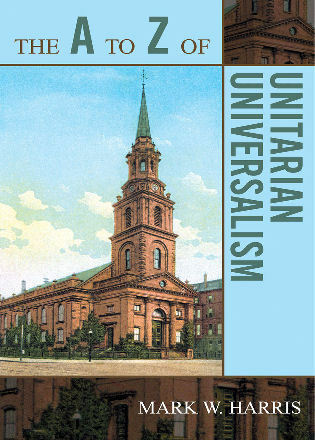 In the twentieth century Unitarian Universalism developed beyond Christianity and theism to embrace other religious perspectives, becoming more inclusive and multi-faith. Efforts to achieve justice and equality included civil rights for African-Americans, women and gays and lesbians, along with strident support for abortion rights, environmentalism and peace. Today the Unitarian Universalist movement is a world-wide faith that has expanded into several new countries in Africa, continued to develop in the Philippines and India, while maintaining historic footholds in Romania, Hungary, England, and especially the United States and Canada. Mark W. Harris is a Unitarian Universalist Minister who serves as the senior minister at the First Parish of Watertown, MA. He has previously served congregations in Palmer and Milton, Massachusetts, as well as brief ministries in Sheffield and London, England. He was also the Director of Information for the Unitarian Universalist Association from 1985-1989. Since 2003 he has taught at several institutions as an adjunct professor. These include the Starr King School for the Ministry, Andover Newton Theological School and currently Harvard Divinity School. He has written several books about Unitarian Universalist history. 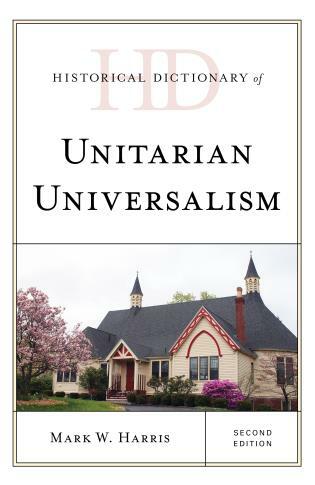 Harris's new edition of Historical Dictionary of Unitarian Universalism reflects the passage of 15 years in US culture as well as in Unitarian Universalism. Nearly a hundred pages longer than the first edition (CH, Jul'04, 41-6249), this second edition features a historical introduction that is twice as long as the original and 80 new entries. The character of these new entries is noteworthy: there are more entries on African Americans, living leaders in the arts and sciences, and female authors (e.g., Beatrix Potter). There is also an LGBTQ entry and greater focus on the global nature of Unitarian congregations. Harris also covers the social justice Standing on the Side of Love campaign, now called Side with Love. As a scholar and a Unitarian Universalist minister, Harris has a deep understanding of this unique and influential group and its social justice history. Those who own the first edition will want to update to this second edition, which includes 400 cross-referenced entries, a chronology, and three useful appendixes. Summing Up: Highly recommended. Lower-division undergraduates through faculty and professionals; general readers. This second edition of Historical Dictionary of Unitarian Universalism contains a chronology, an introduction, an appendix, and an extensive bibliography. The dictionary section has over 400 cross-referenced entries on people, places, events and trends in the history of the Unitarian and Universalist faiths including American leaders and luminaries, important writers and social reformers. This book is an excellent resource for students, researchers, and anyone wanting to know more about Unitarian Universalism.